The specific grants to “Ralph the Red” were originally from a grant made to Robert de Lacy from Henry l soon after he became king in 1100. Henry I granted ‘Boeland to this Robert, son of Ilbert, to be held of the Crown in “capite” as it had theretofore been of Roger de Poitou’. These were additional to the lands the Lacys already held at Pontefract. The lands had been “crown retrieved” from Roger de Poitou by King Henry l in 1102 after Roger Poitou joined a rebellion against Henry when he became King of England in 1100. Poitou was banished to Normandy for having backed Henry’s older brother Robert Curthose, the Duke of Normandy to be King over Henry. Robert Curthose was the second son of the Conqueror. His older brother was King William Rufus and William’s heir as King of England upon the Conqueror’s death in 1086. William Rufus died suddenly in a hunting accident in 1100. Henry was the youngest and third son born after the conquest of 1066. He succeeded, or more accurately seized, the crown after the death of his older brother King William Rufus in 1100. As the second son, Robert Curthose was heir to William as Duke of Normandy upon his father’s death in 1087. Robert was born before the conquest and the Westminster coronation of his parents as King and Queen of England. 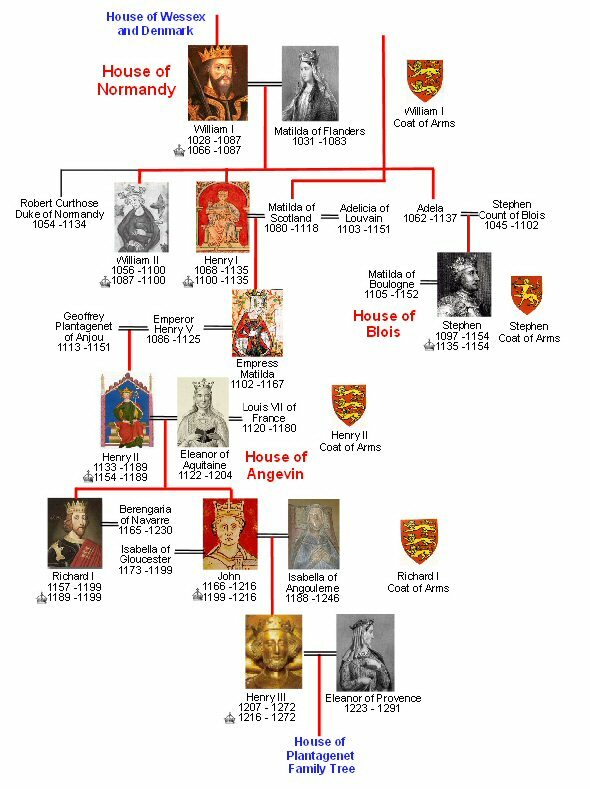 Henry was the third son of the Conqueror and born after William and his wife Matilda were consecrated as the first Norman King and Queen of England Dec. 25, 1066. Henry used that rationale to discredit Robert as a possible heir to the Crown of England by claiming only he, Henry, was born to an existing Norman King and Queen of England after 1066. In Robert’s absence from England on a crusade, Henry took the crown (and confiscate the royal treasury), consolidated his rule and later gained back the Norman lands of his father from his elder brother Robert and replaced him as Duke of Normandy in 1106.